California. 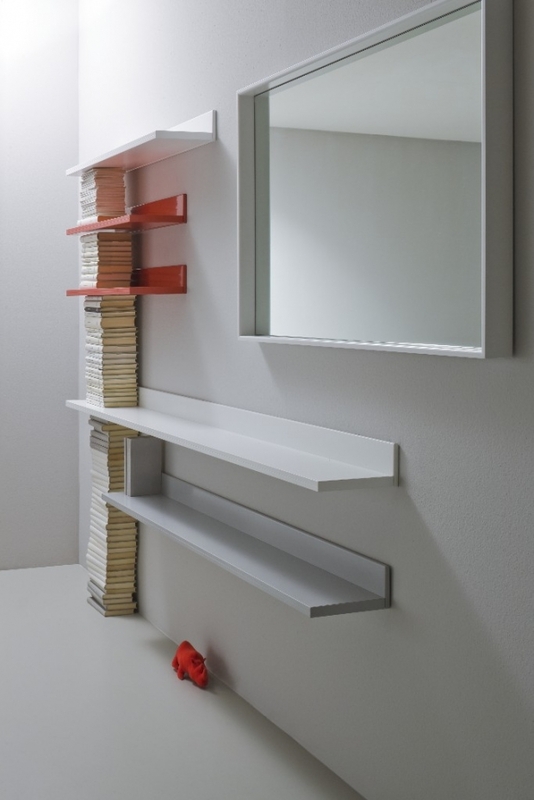 Shelves in anodized aluminium with invisible supports. Thickness 2,5 cm, depth 25 cm and length from 150 to 400 cm. The shelves can be reduced in the length. 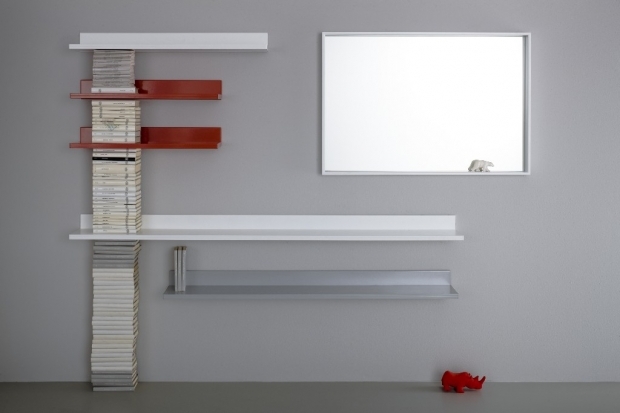 California ‘Light shelf’, 150, 200 and 250 cm can be complete with halogene lights. Each light is 20W – 12V, electronic ballast and a 250 cm cord with switch.